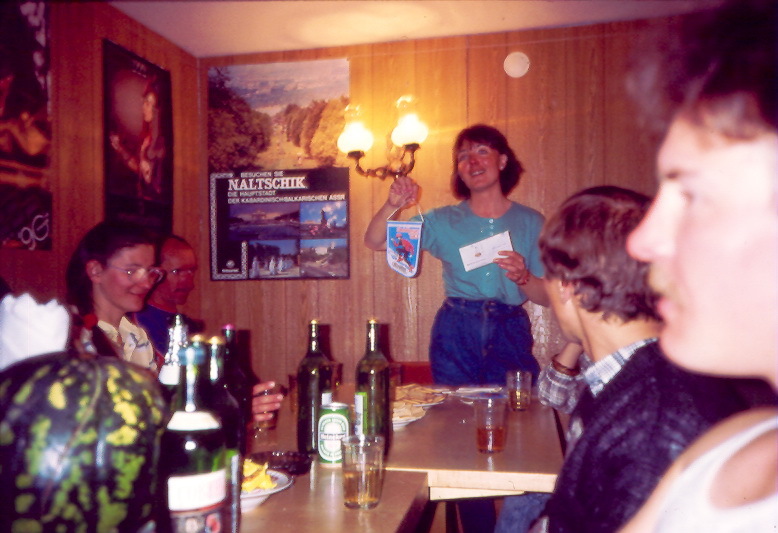 Главная \ How it all began \ 1989 \ aka "Slim"
MSMK (Master of Sport of International level - one of Top sport levels in USSR)(1980), ZMS (Honored Mater of Sport - the very top of sport titles)- (1982). 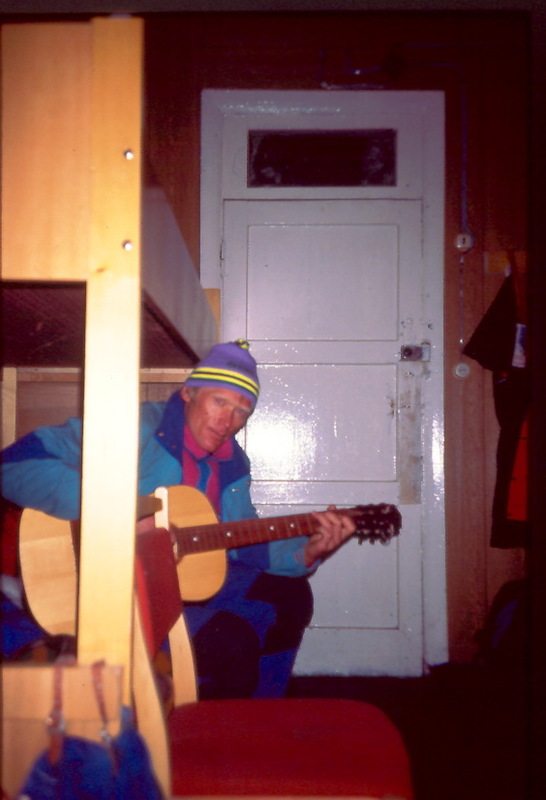 Five-time "Snow Leopard", one of the strongest climbers in the world (39 peaks over 7000). 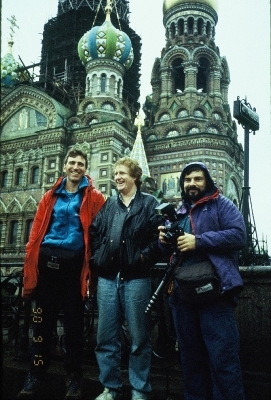 Hrischaty Valeriy Nikolaevich (1952-1993) - Alma-Ata. ZMS - 1982. He graduated from the Faculty of Soil Science KazSHI (1975) with a diploma from the soil scientist, member of geographic. 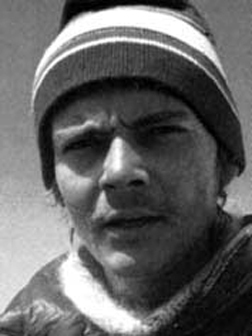 Soil Science Society KazSHI (1975), a member of the geographical. Society of America. Cit. : "Icebergs in the clouds," We are soluble in the element. Heating. Order of Friendship of Peoples (1982), "For personal courage" (1989). 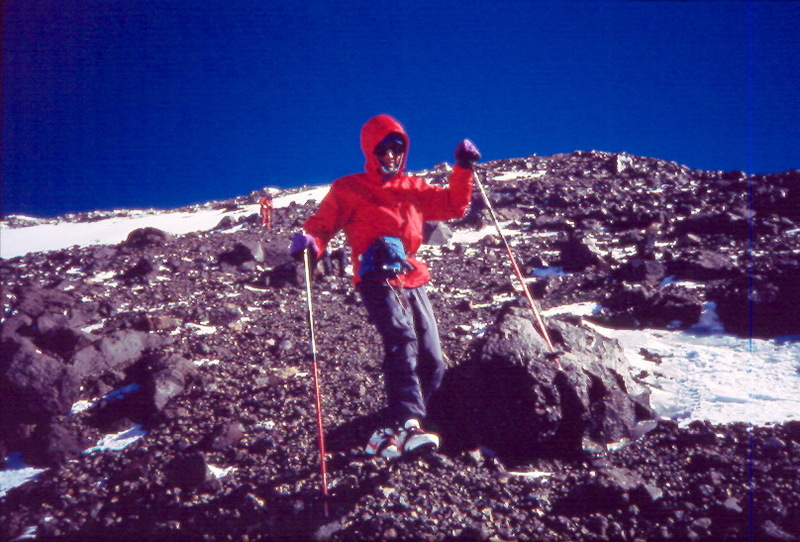 He strted to practise mountaineering at 1968. 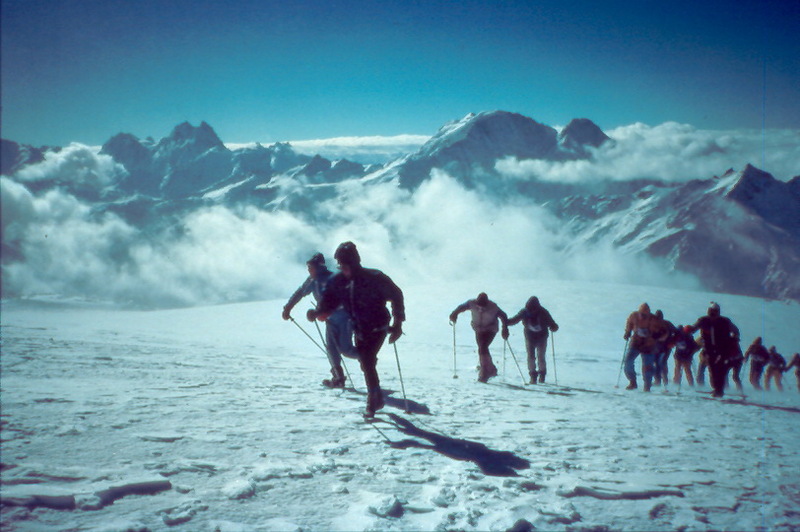 Climbed more than 50 challenging routes in the mountains of the Pamirs and Tien Shan. Total committed about 350 different climbs. 33 times was at seventhousanders: 10 times - n. Communism, 5 times - Peak Pobedy, 8 times - peak Lenin, 4 times - peak E Korjenevskaya, 6 times - Khan-Tengri. Four-time "Snow Leopard". Before the title "Winter Snow Leopard" it lacks a winter ascent of subsection Eug. Korjenevskaya. 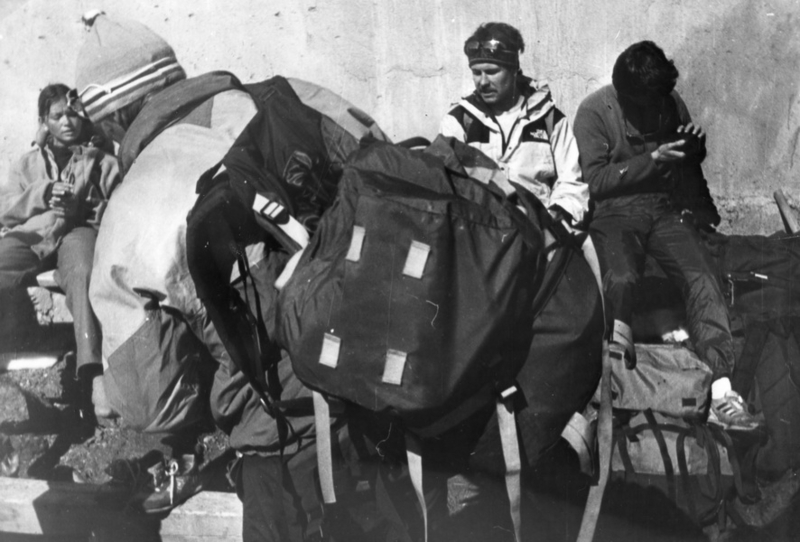 At that he was going to go in the winter from 1992 to 1993, but the ascent failed, and in summer, Aug. 3, 1993, Valera died below the peak of Khan Tengri. - Least of all climbers love questions like "Why go to the mountains you?". 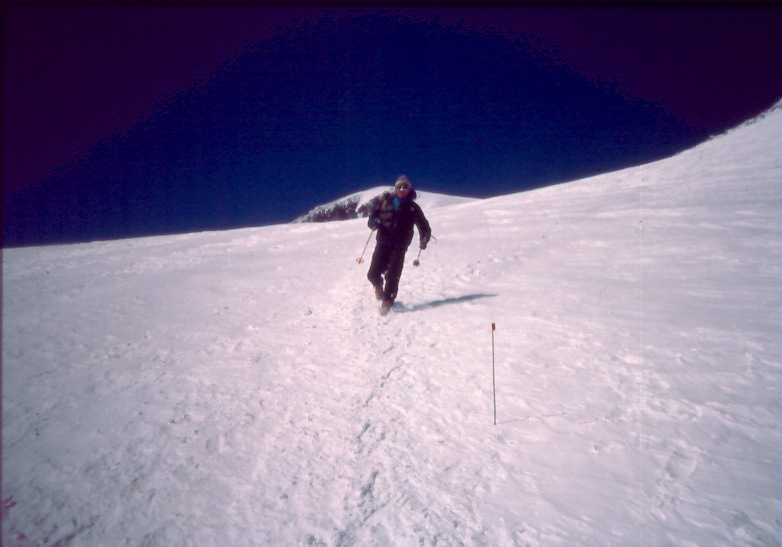 And yet one can not ask this question to you: What is your philosophy of mountaineering? You can try to explain the phenomenon of climbing this: there is world of mountains, primeval element. A person entering into a struggle with the forces of nature, overcomes towards the goal of not only physical barriers but also his own weaknesses. Does this mean that climbing - a means of spiritual perfection of man? V. Hrischaty: - I agree with this explanation. But why struggle alone. During the ascent we dissolves into the elements, become part of it organically in it exist. 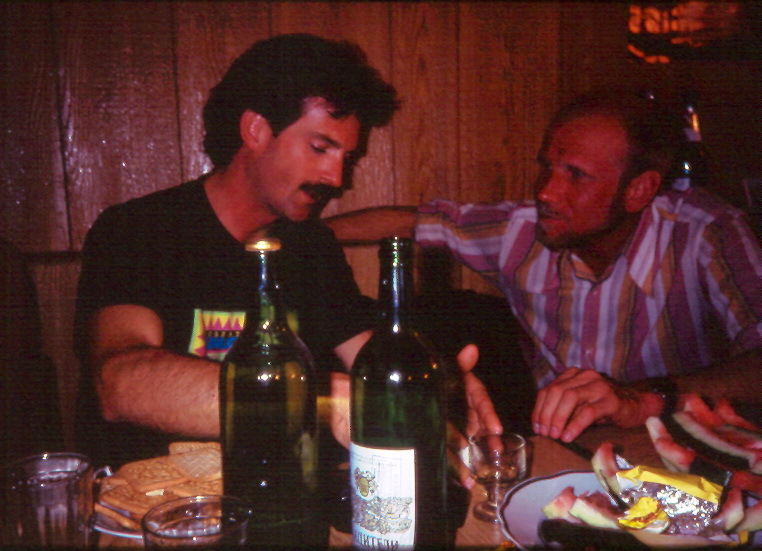 • Awarded the Order of Friendship of Peoples "and the Order" For personal courage "
• Winner of three ranks "Best climbing season in the world"
During the period since 1968 has made over 50 ascents of Higher complexity. 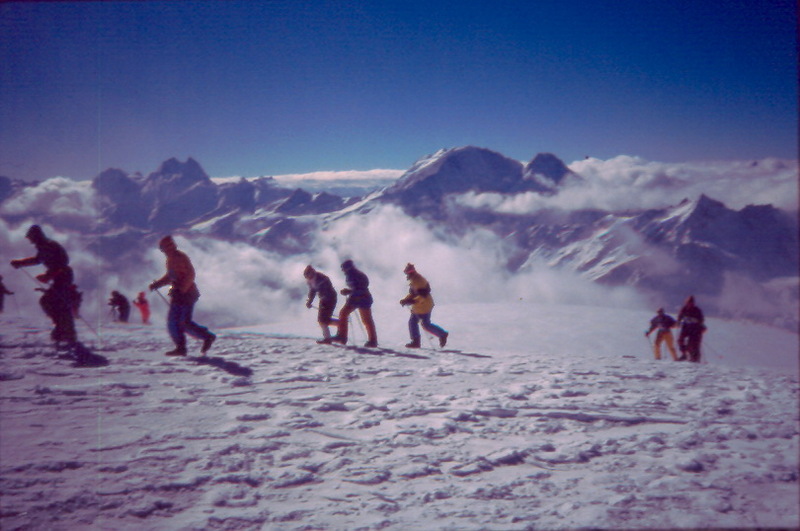 1992 - P. Khan Tengri (7010m), winter climbing, first accent. 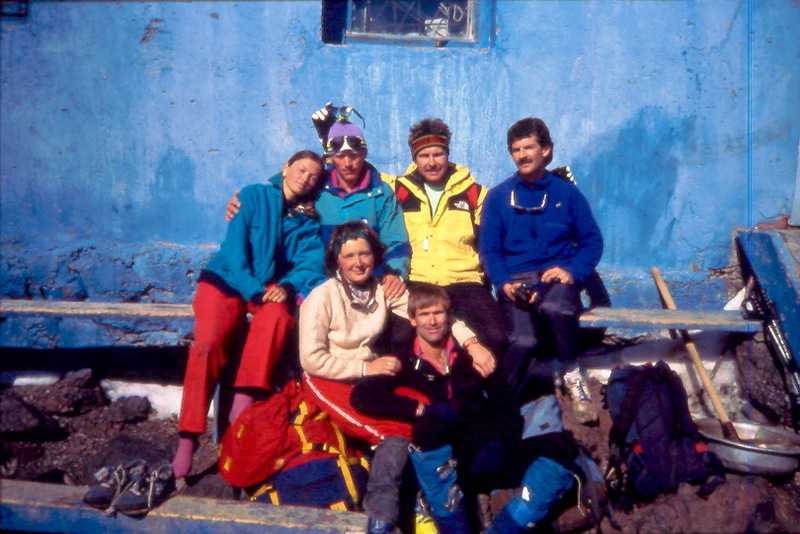 With the death of Valery Hrischaty, soviet and Kazakh climbing (quite possibly the world) have lost one of the most prominent representatives of the new generation of mountaineering. "This climber does not fit in the title of Honored Master of Sports, a world-class climber ... Hrischaty detonates old frame ... 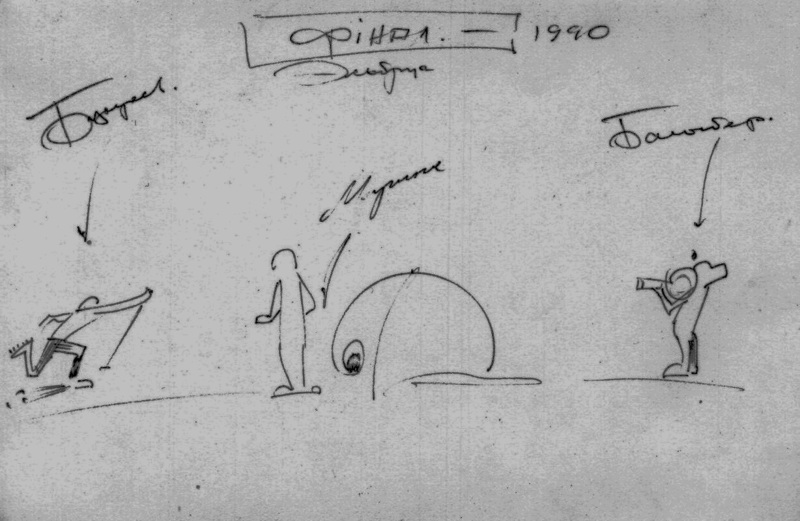 He was ahead of his time and his companions" - so say about it in his book "Piolet d'Or" journalist F. Sveshnikov.